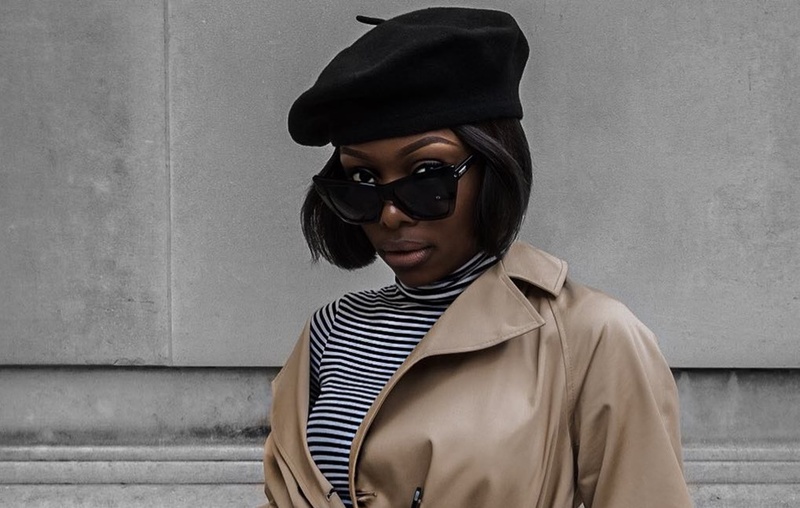 Fashion: The Beret Trend Is Here To Stay! The beret is so “woke”! Headwear is big this year! Look away from the stereotypical religious views of the berets here in Nigeria and stereotypical view that berets are the French girl accessory or mostly worn by French people. This year alone we have witnessed people roam around in visor hats from the tennis court to runway shows and back to the streets. Grace Alex with all the spice! Corporate and chic in the beret trend! Berets are linked to politics. Che Guevara used it in the 60s as a symbol of revolution, wearing it as he rallied for supporters to rise against the Batista government in Cuba. Even after he died in 1967, it was a look adopted by other activists, most notably by nationalist and socialist party Black Panther Society (harper’s bazaar). It may have been linked to politics but then creatives who changed the world wore the beret. Pablo Picasso, John Lennon, Bridget Bardot among others, had it on for a time. At Paris Fashion Week, Rihanna let the whole world know she’s also into the beret trend, wearing the Dior leather beret in the front row. If Rihanna doesn’t endorse it, it won’t be this big! At the just concluded Lagos Fashion Design Week, Titi Belo gave us chills as the model strutted in cool, uptown chic styles-adding the beret as an important accessory. The men too will give you a better reason to have this headpiece on! The beret changes your total look, gives that cool hipster personality to your look. Maryam Salam slammed this trend like a militant! You might think it’s just the military men who look dope in it but extra creativity to your beret places you on another level. Some go to the extent of “diy-ing” the beret (see the oga below..lol). You can tell there are different types of berets flying around like the fluffy ones (usually the common type). The leather berets too take your look from basic to echelon in no time! I absolutely loved this DIY beret with buttons and safety pins! Che Gueravara owning that beret swag since day 1! #MondaysAreForManicures – Chrome Nails? It Works!